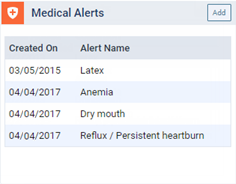 You can remove a patient's medical alerts (conditions and diseases) as needed. Alternatively, you can set a medical alert as expired. 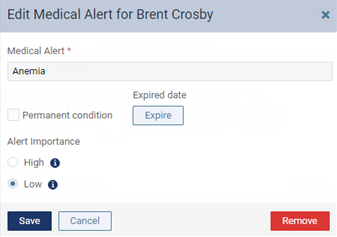 A message appears and asks if you want to delete the medical alert from the patient's record or set it as expired (to keep it in the patient's record but have it be inactive).